Puget Sound ESD is seeking a Special Services Manager to support the provision of pre-employment transition services to students with disabilities across the region. This is an exciting opportunity to support school district staff as they increase the post-secondary successes of students with disabilities through job exploration, work-based learning, post-secondary education exploration, workplace readiness training, and instruction in self-advocacy. $69,333 - $80,405/year. Salary offers consider candidate qualifications, experience, and internal equity. Excellent benefit package, including participation in Washington State Department of Retirement Systems, and the opportunity to work with a family-friendly, skilled and dedicated workforce committed to the communities we serve. The Project Program Specialist will focus primarily on two projects: (1) the Center for Community Engagement's (CCE) implementation of Positive Behavioral Interventions and Supports (PBIS) in schools across Arkansas in collaboration with the AR Dept. of Education's State Personnel Development Grant (SPDG) that provides behavioral Response to Intervention training and technical assistance at the state, regional, district, and school levels; and (2) Project LAUNCH, a program designed to help prevention efforts in mental health among children 0 to 8 and their families. Smaller roles will be played in other CCE and Office of Behavioral Research & Evaluation (OBRE) projects as needed. This position is grant and contract funded, and is contingent upon continued funding. This person will work closely with all OBRE and CCE staff, as well as with partners from other organizations, and thus needs strong professional and personal skills. This person must be able to travel in-state on a regular basis (including overnight), and periodically travel to other states, usually by air (including overnight stays). This position is subject to a 3-month probationary period. In your Cover Letter, please tell us how you meet each of the minimum requirements for this position. The required applicant documents are as follows: (1) Vita/Resume, (2) Cover Letter, (3) List of 3 References with Contact Information, and (4) At least 2 Letters of Recommendation. Applications received ON or BEFORE February 10, 2017, will receive full consideration. Bachelor's degree or above in education, or a related field, with experience in elementary, secondary, or special education. JCFS is looking for a Special Education Teacher for our Therapeutic Day School located in West Rogers Park. The Teacher creates and delivers student centered, individualized and small group academic instruction within a therapeutic, highly structured classroom. Implements therapeutic educational programs for specific groups of students in accordance with goals specified in each student's Individualized Education Plan (IEP). Collaborates with team members to create a multidisciplinary drive IEP for each student; attends all student IEP meetings. Provides classroom management that recognizes and includes consideration of the characteristics of the student population. Prepares and maintains a safe, organized, healthy, academically and behaviorally effective classroom environment appropriate to ongoing and changing classroom activities and in accordance with all accrediting, regulatory, and governing organizations. Completes all necessary paperwork in a timely manner including weekly lesson plans, weekly and quarterly student progress report cards and assessments, and annual student IEP's. Successfully completes training in Therapeutic Crisis Intervention (TCI); successfully complete all requirements to maintain certification in TCI. Willing and able to perform a variety of tasks to ensure the safety of students. Bachelor's Degree in Special Education from an accredited college or university. 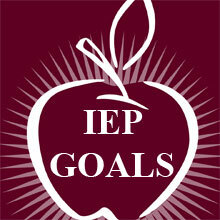 Experience with the Chicago Public School electronic IEP systems is strongly desired. Ability to successfully complete Therapeutic Crisis Intervention training (Agency provided). Experience working with students with special educational needs is preferred. Jewish Child and Family Services (JCFS) is committed to serving the needs of the diverse Chicago metropolitan area. Accredited by COA. Charter member of CWLA. Licensed by DCFS. This position will focus primarily on two projects: (1) the Center for Community Engagement's (CCE) implementation of Positive Behavioral Interventions and Supports (PBIS) in schools across Arkansas in collaboration with the AR Dept. of Education's State Personnel Development Grant (SPDG) that provides behavioral Response to Intervention training and technical assistance at the state, regional, district, and school levels; and (2) Project LAUNCH, a program designed to help prevention efforts in mental health among children 0 to 8 and their families. Smaller roles will be played in other CCE and Office of Behavioral Research & Evaluation (OBRE) projects as needed. Supporting additional ongoing and future projects for CCE and OBRE, including training and evaluation activities for Project LAUNCH (a program to provide prevention services for children's mental health) and providing supervision to other CCE and OBRE staff members. General Days/Hours:Generally Monday-Friday. This is expected to be mostly an 8 a.m.-5 p.m., 40 hours per week position. However, this is a professional position and may require additional hours and off-time effort including some nights and weekends. This position may also include some travel. The required applicant documents are as follows: (a) Vita/Resume, (b) Cover Letter, (c) List of 3 References with Contact Information, and (d) At least 2 Letters of Recommendation. Letters can be sent to cpinkard@astate.edu. APPLICATIONS RECEIVED BY 2/10/17 WILL RECEIVE FULL CONSIDERATION. This is a leadership position that requires academic or experiential advanced, specialized knowledge in behavioral programs in schools. That knowledge is described in the Minimum Qualifications section. Master's degree, Ed.S., or Doctorate degree in education, special education, a counseling field, or school psychology or a related field, or extensive experience with and knowledge of behavior programs in elementary, secondary, or special education, experience working with schools. Knowledge of or experience in implementing comprehensive school-wide behavior program/system. The professional and personal skills needed to provide professional development, in-service training, and technical assistance services to regional and district level teams in urban and rural settings. 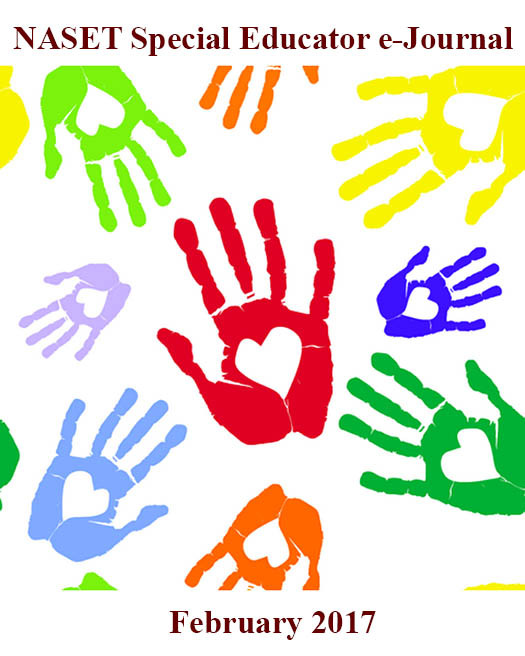 Great Hearts Academies is committed to serving the students within our special education population in a manner that reflects and affirms their dignity and rightful participation within the larger student body. Through the use of consultation, resource, inclusion, and co-teaching models in a variety of academic environments, the Special Education team aims to provide support for students while working to ensure as much time as appropriate is spent within the regular classroom. Planning and facilitating meetings throughout the IEP Team/ARD committee process, as well as ongoing communication and collaboration with parents, staff, and administrative staff regarding student planning and progress. Managing the transition of new enrollees eligible for special education and related services for the 2016 - 2017 school year. Candidates must apply using our online application, which allows applicants to submit materials (resume, reference letters, etc.) for review by Great Hearts Administrators. The Hoffman Academy is a special education, private, academic school for students identified with social and emotional disorders. The school is aligned with, and located on the grounds of, Hoffman Homes for Youth- a psychiatric residential treatment facility outside Gettysburg, Pennsylvania. The Hoffman Academy educates approximately 100 students. The mission is to offer a learning environment combined with a therapeutic component. Teachers, therapists and direct-care staff work together to assist the children-in-care with achieving their treatment goals.